At present there is no clear model under international law with which to determine compensation for environmental damage. 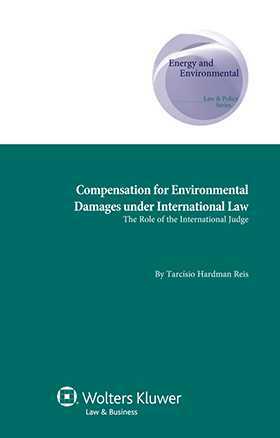 After showing that no existing standard of compensation defined by the theory and practice of international law is adequate to cover all cases involving environmental damages – and that such a broad standard or set of standards may in fact be ultimately unachievable – the author of this important book develops a ‘fair compensation’ regime from an analysis of existing international dispute adjudication mechanisms, and presents this model as the best possible current approach to the conciliation of international responsibility and environmental interests. An in-depth analysis of relevant international jurisprudence, liability treaties, and reports and resolutions of international organizations reveals the scope of compensation standards in international law. The analysis proceeds from quantitative research on these standards to qualitative research that identifies and separates the main elements of fair compensation that exist in international law. This leads to a highly cogent proposal that moulds the notion of fair compensation to the environmental field. This book leaves no doubt that environmental damage leads to an entitlement under international law, although the extension of such entitlement, and particularly the amount of compensation, remains to be determined case by case. This study succeeds in identifying elements of analysis for the establishment of a more adequate compensation system for environmental damages – a system that privileges the intrinsic value of the environment, and also takes into account factors that encourage prevention and discourage abusive or arbitrary awards in relation to environmental damages. As such, it will be of incomparable value and significance to lawyers and academics working on the development of standards in international environmental law.